If you are looking to revitalize the look of your bathroom, consider going with glass shower doors in Houston . Glass shower doors can function as well as any other kind of shower door or curtain, but it comes with the added benefit of an aesthetic boost. Watch this video clip for tips on designing a glass shower. There are a number of factors that go into the design of a glass shower. Different styles include glass block, framed, and frameless shower doors, and each type comes with its own advantages and disadvantages. You will also need to consider how much privacy you desire; this will determine the amount of glass involved as well as its level of transparency. Along with desired privacy, the size of the shower itself will help to influence the amount of glass needed for your design. The right glass shower design can be aesthetically pleasing in itself as well as show off the walls inside the shower. Glass is an incredibly useful material that enjoys an expansive array of applications; however, standard glass is also relatively breakable and can create thousands of dangerous shards when it is shattered. Tempered glass in Houston , on the other hand, is also referred to as safety glass due to its much less potentially hazardous properties. Read on if you would like to find out what exactly tempered glass is. Tempered glass undergoes intensive heating and quick cooling. This process allows it to become stronger and harder than standard glass, making it more difficult to break and more appropriate for many situations. In addition to being stronger than normal, tempered glass is also heat-resistant. Like standard glass, tempered glass does shatter when it breaks; however, it shatters into small pebbles rather than sharp shards, significantly reducing the threat it poses to anyone in the area. This also makes glass repair a safer process. Tempered glass can often be found in shower doors, computer screens, and oven windows that allow you to see how your meal is coming along. Unlike normal glass, tempered glass does not crack or experience small breakages; when tempered glass is broken, the whole panel shatters. Although your bathroom mirror may seem like a small part of the space next to your shower enclosure, it is actually an important element of the design and can dramatically affect the atmosphere of your bathroom. This is one reason that bathroom mirror replacement in Houston is so important. Feel free to read on to take a look at the process of finding a new bathroom mirror replacement. From floors and walls to frameless shower doors to matching appliances, there are many different things you can do if you want to enhance the aesthetic appeal of your bathroom. 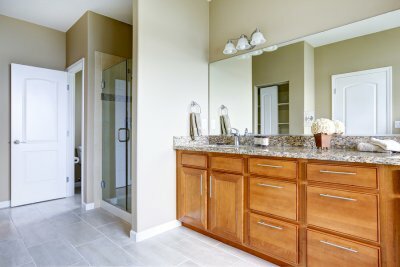 A bathroom mirror replacement is one of these beneficial installations, and it can completely revitalize your space. If your bathroom is on the smaller side, your new mirror can help to make the space feel larger ; mirrors tend to trick people into feeling like there is more space in the room. In addition to making the room feel more spacious, mirrors can make the room lighter by bouncing natural or artificial light around the room. You can enhance this effect by placing several mirrors in your bathroom and allowing them to bounce light back and forth off of each other. If your bathroom is lacking in natural light, consider installing lights above or around the mirrors. If you take a trip to a showroom and find a mirror that you love, make sure it is designed for use within a bathroom before making the purchase. Some mirrors may be beautiful but not resistant to moisture, which means that they can falter over time and lose their visual appeal. Mirrors with metal or wooden frames are typically not moisture resistant, and thus not appropriate for the bathroom. Moisture resistant frames and backing can allow you to enjoy your mirror for years to come. It is important to find the right size mirror replacement for your bathroom. Make sure that you do not choose a mirror that is too large to comfortably fit over the bathroom vanity, and consider how much of the mirror you want your frame to take up. Glass bathroom showers can offer a look of luxury as well as eliminate problems that other designs must deal with, such as mold and mildew on the inside of a shower curtain. Between the fixtures, the space, and the shower doors in Houston , there are countless ways you can design your shower. Watch this video for some tips on redesigning a glass bathroom shower. You will want your glass bathroom shower to be made of tempered glass so that it does not shatter on impact. If you have any doors that may swing open into the shower, it is important to install a doorstopper to prevent any damage from occurring. 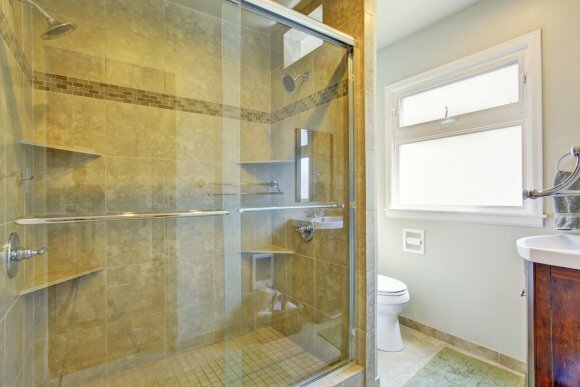 Frameless shower doors can be beautiful but tend to be more expensive than framed doors. On the other hand, doorframes with metal finishes leave plenty of room for aesthetic creativity that is not seen with frameless shower doors.